TWO gang members of kidnapper, Chukwudimeme Onwuamadike have been sentenced to 41 years in prison. 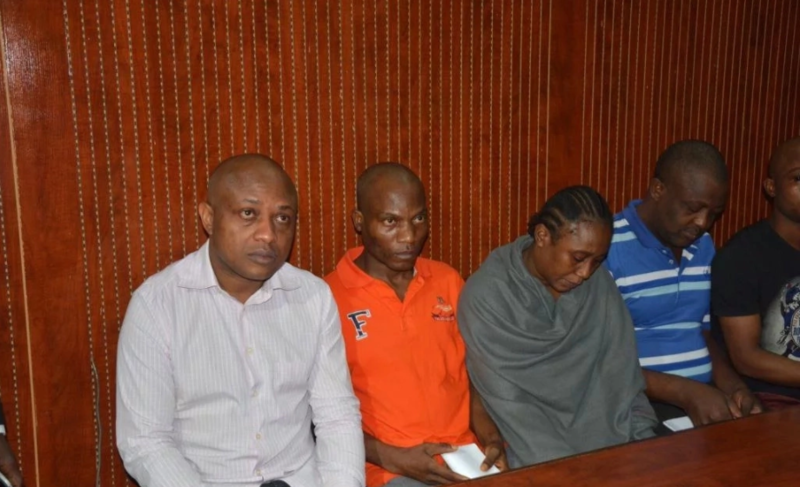 The convicts, Kelvin Emenike Ukoh and Emeka Obasi were sentenced on Monday by an Ikeja High court sitting in Lagos State following the kidnapping of a shipping agent, Ugoje Jude, and his staff, Piriye Gogo in 2012. Emenike, 32 and Obasi, 33 were arraigned in 2013 on a 14 count-charge bothering on conspiracy, kidnapping, armed robbery and murder. Also arraigned on the same count-charge were, Uche Igbani, 28, Chibuzor Osuagwu, 33 and a 36-year-old woman, Onowu Ngozi. Justice Oluwatoyin Taiwo judge held that the prosecution could not prove that those acquitted Igbani, Osuagwu and Ngozi were linked to the alleged charges of murder, conspiracy, kidnapping and armed robbery. The victims were abducted on August 3, 2012.